Tiny Leaders is all the rage right now out there on the internet and the world. I’ve built decks (because that’s what I do), played it some, and on the whole, I think I like it okay. It plays quickly, and you can get in a game while the Commander game you just lost is finishing, while you’re waiting to join the next one, or if the store is closing in 20 minutes but you don’t feel like you’re done playing. There’s no Social Contract*, so it’s okay to be mean and play Poison/Mill/Discard and/or pretend like I can win really fast (which is NOT how I like my EDH games to be). It’s another, different, way to build Singleton decks, and I like building decks a lot and with different restrictions. I’m bad at it. My brain doesn’t work well in fast, cutthroat play and with competetive/optimal deckbuilding , and I keep wanting to have themes or do “Fun” things that don’t win (and TL, as Legacy w/ a commander mostly relies on the idea that winning is fun). Miracle-Gro** doesn’t work as well without Gush/Force of Will. It’s another format competing for time with EDH. 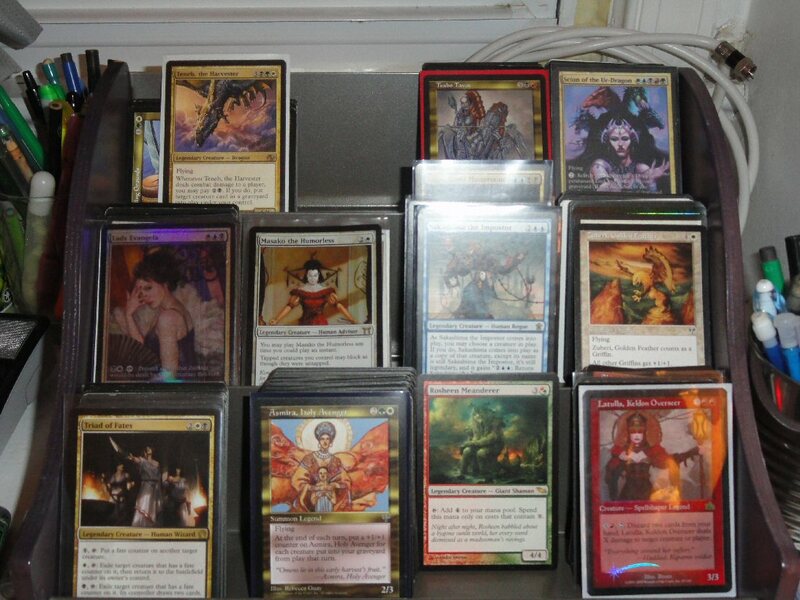 I already have to contend with people who like to Cube, and sometimes (always) I mostly want to play EDH. I Mana-Flood too easily. Whereas in EDH, despite 38-40 lands, I’m always mana-screwed. This is probably just karma and not a feature of the game. I played one game where, out of 23 cards that I saw in the game, 16 of them were lands. 1. Differences from EDH need to continue to be highlighted. There was a big discussion on the TL Facebook group that started with a player complaining about how the format is too Spikey. The general impression I got from the comments was that “NO! UR DOIN IT WRONG. 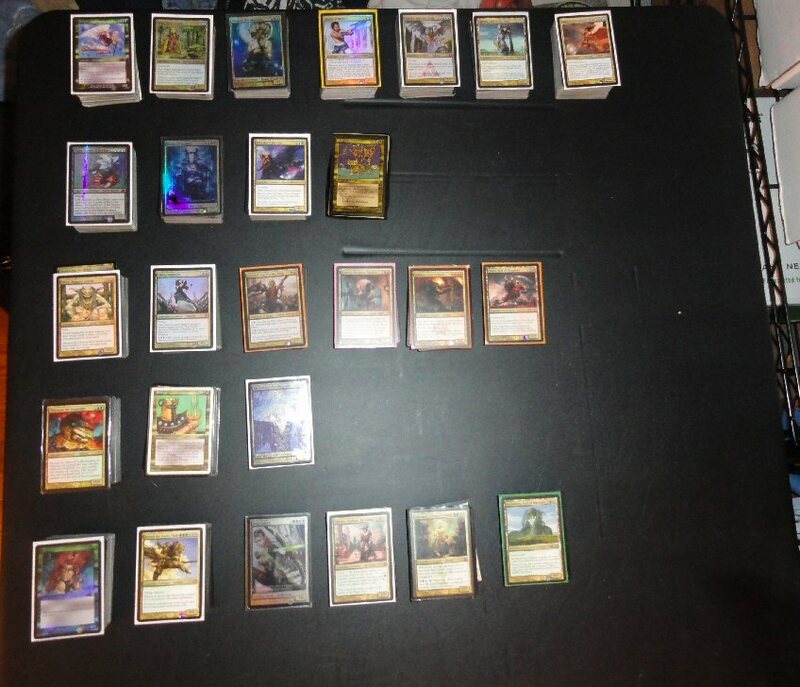 THIS IS NOT 50 CARD EDH, IT IS SINGLETON LEGACY FOR WINNERS WITH A GUY.” Which I actually agree with. It’s not Little EDH, and it shouldn’t be treated as such. It’s a different format with two, albeit kind of important, similarities. This is also why I struggle with it sometimes, since “Fun First, Winning… ?” is kind of my motto. 2. However, as with any format like this, people are going to play it how they want to. My group doesn’t do sideboards and plays it multiplayer (we’re considering Emperor if we have 6 tonight) instead of only head to head 2 out of 3. Even 1v1 last week two guys ended up playing it as 2-Headed Giant, each piloting two Tiny Leaders decks. 3. I’m thinking of making Expandable/Convertible decks. 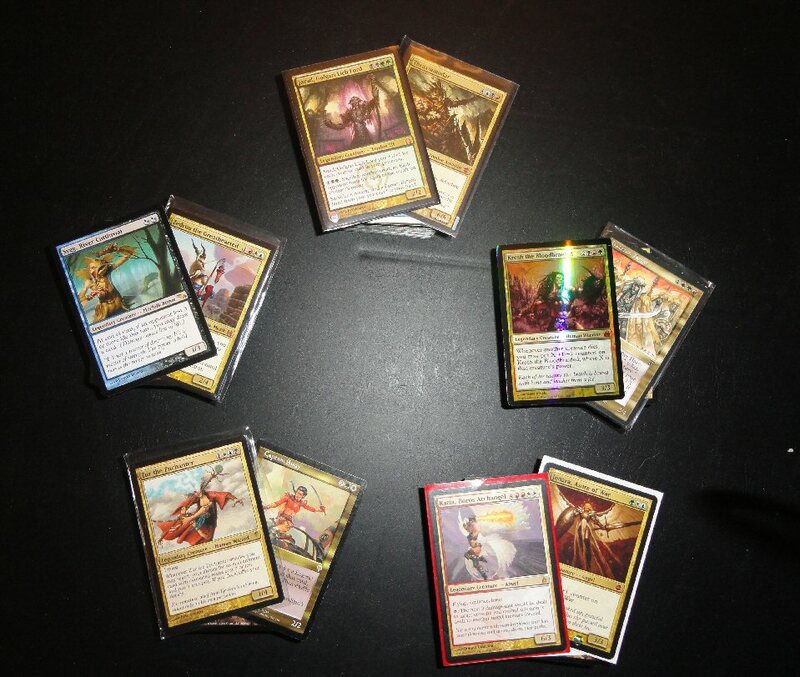 Making Tiny Leaders decks that have 50-card Expansion Board that transforms them into EDH decks. 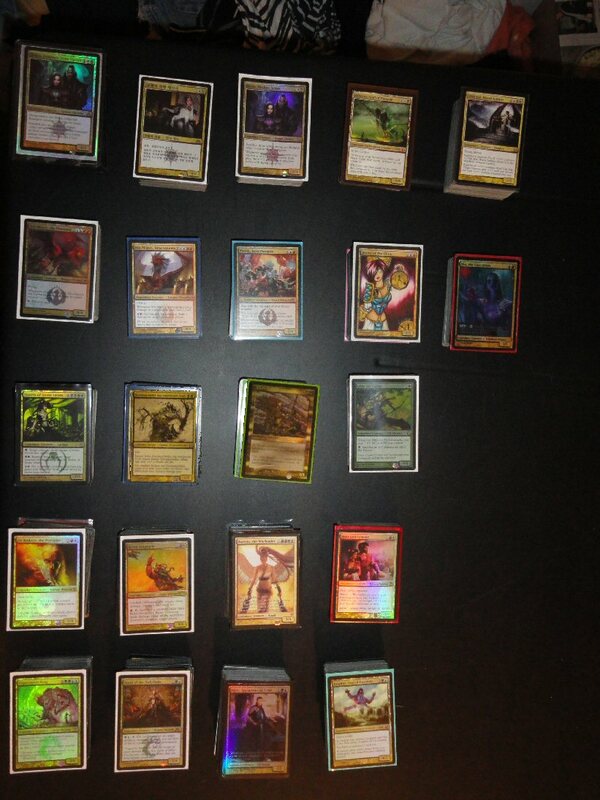 There are enough <3-CMC Legends for whom I haven’t build 100 card decks for that I also either have or want to try as Tiny Leaders (Yasova, Alesha, Feldon, Glissa, Lady Evangela, etc). I think I’m going to build an Expansion for “Able without Cane” ( this Feldon list ) soon. There are also EDH decks that could be adapted to have TL modules in them, which I might do to things like Balthor the Stout (because I’m sure that Dwarf Tribal is OP in TL). 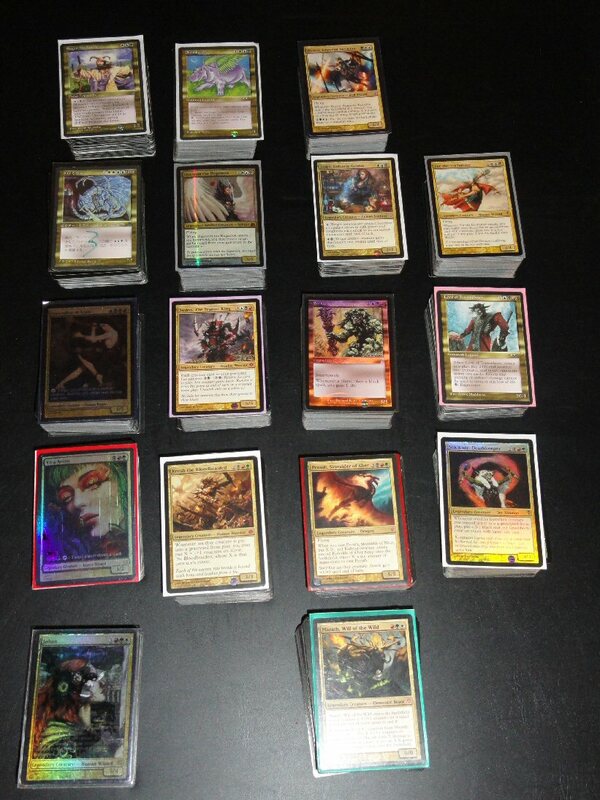 Or, even cooler, build two TL decks that can be slammed together to make a Tag-Team EDH deck… oooh, the ideas… . It’s like taking 1v1 2HG to another level. 4. I’m happy for the people that came up with the format, and I’m glad it’s really caught on and is getting press and recognition. It gives me hope that Tag-Team commander will maybe be revitalized. 5. I hope it stays cool long enough for Wizards to put out a summer product for it, (Preferrably NOT as a replacement for a fall commander set), but I worry that if they make it good, it will have too many reprintable Legacy cards in it and cost WAY too much. A $35-40 TL “Event Deck” would be cool. So there are my 3 nickels worth of thoughts on Tiny Leaders. *: I pretty much play only-EDH because I love the Social Contract, but every once and a while it’s nice to play a game where you don’t have to care about “interaction” or your opponent’s enjoyment of the game at all. **: The only time I was ever “good” at Magic, or “Won” games was back when Miracle-Gro was awesome in Extended (R.I.P, Extended). ***: But I totally play both of them. 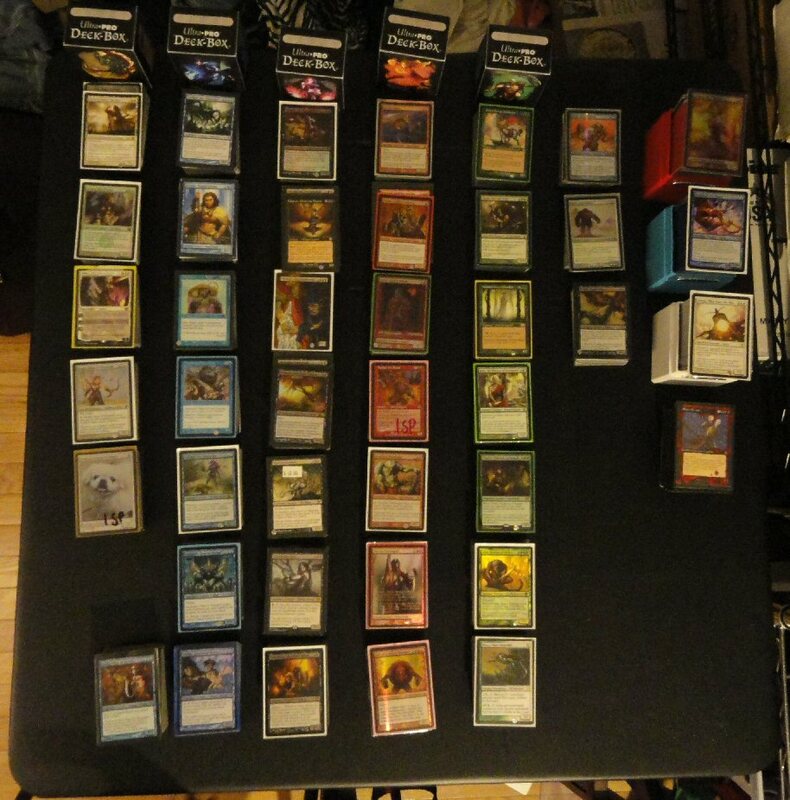 To be honest, I mostly still just play basic lands and proxy in for my Revised Duals and maybe play some ETBT duals. 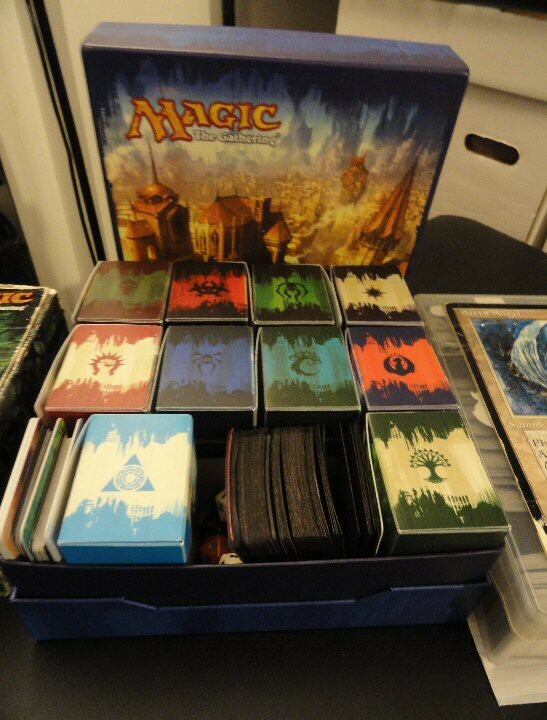 In the “hell-freezes-over” scenario where I played a real tournament, I’d use the real copies of the duals. Snow Days (in Maryland. In Minnesota they’re just called “Days”) afforded me time to do a bit of a Deck Inventory. So here are all 148, with Pictures. My first draw had no lands, and my second had 1 plains, so I kept it. I ould continue to play Plains for 5 turns, dropping a Loyal Pegasus and a Stormfront Pegasus and an Obelisk of Urd convoked. In this time, Jarad has Boundless Realms-ed for 7 and played a Ring of 3 Wishes. and a Grave Titan which Lazav steals and Gisa Duplicants. My obelisk gets destroyed, as does a pegasus, but by then I have Selvala out and am able to cast a Collective Blessing. 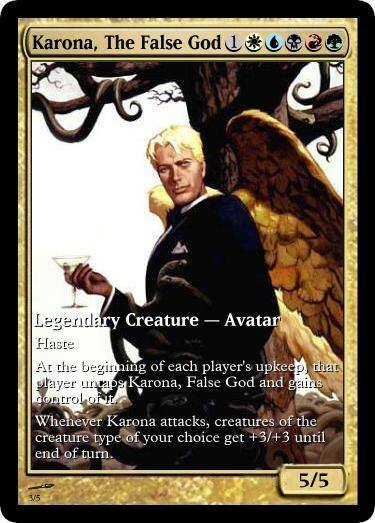 Karona is on the table, but gets passed to Gisa first who swings at Karona and then sacrifices her for more zombies. Jarad plays an Ob Nixilis. Most of us are down pretty low in life, and I (at 14) die to Jarad’s Exsanguinate for 14. 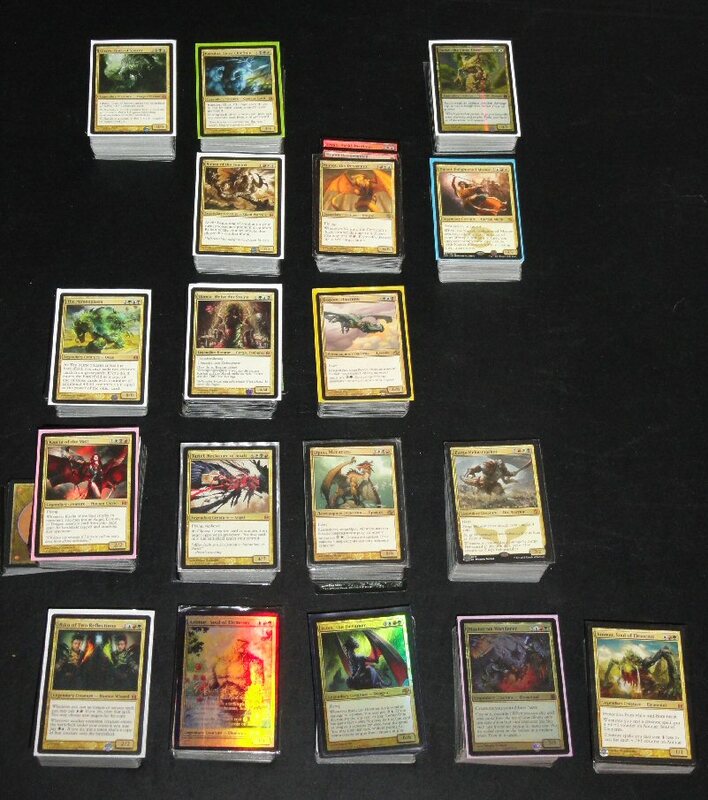 This deck started as a pile of Griffins, Centaurs, Pegasuses, Unicorns, etc. Eventually I pulled out the Griffins and decided to do more heavily horse-based theme. Selvala was picked mostly for colors and it was an excuse to play her with Well of Lost Dreams. However, I decided the deck was now “Selvala, Homecoming Queen and her Little Ponies.” It’s just a lot of Centaurs, Unicorns, Pegasuses, and Horses and some creature buffs. It only has 2 non-permanents in the deck so it can play Primal Surge. We played tiny leaders the rest of the night. I played Feldon mostly which was a pretty fun deck to play, though kind of slow. I did manage to get him to summon Twin Ball Lightning Robot Lovers at one point. One game was a 5 player game, both I and the generally really-really-good Selvala elf tribal deck got booted from quickly, so we played another game while we waited for that one to finish. The last game I switched to my Soraya birds deck. In the course of the game I drew 16 of the 20 lands in my deck, and probably under 6 other spells, there were also two global mana-increasers on the board, so those Plains were all tapping for 3. It was annoying and didn’t get finished. So far my general thoughts on tiny leaders are 1. It’s more fun 1 on 1 because the games go fast and there are not many global answers and 2. Its MUCH harder to build a good and fun deck. I’m not giving up on it though. My first game back after the break, with a deck I had just recently finished (and my first Planeswalker led deck). I drew no lands to start, so I tried again and had 4. I started with a Quest for the Holy Relic (that took over 10 turns to achieve). Phenax opened with a Leyline of the Void. I followed up with Swiftfoot Boots, and then a Stoneforge Mystic that grabbed a Skullclamp, and then a lucky Kor Sanctifiers that kicked out the Leyline. Sisters of Stone Death had hit the table by turn 4, and Lazav was drawing cards off of a Mystic Remora. Sisters tried for a Boundless Realms, but was stopped by Phenax. Pharika was also messing up Graveyards for people. Gisa didn’t do much that was threatening early on, just a Fleshbag Marauder and a Phyrexian Arena. I got a Puresteel Paladin, that drew me 3 cards, and swung big at Lazav with an Ogre’s Cleaver, but suddenly a deathtouch enchantment snake appeared and killed him. I played Nahiri and started making some “draw 2 cards tokens”. Pharika stopped my Emeria from resurrecting Purseteel Paladin. Lazav played Stolen Identity and copied Sisters. As Nahiri continued to roll-up, I played a Kicked Conqueror’s Pledge and then used 6 of them to play an Obelisk of Urd (naming Soldiers, though my heart wanted Kor). Next Turn I used Deploy the Forces to make 30 Soldiers. The next turn I swung to kill Sisters with my Obelisk and Sword of the Paruns pumped horde. Phenax wiped the board with Decree of Pain and drew 51 cards, but had also been knocked down to 1 life. Gisa was in a strong position with a Whip of Erebos, 51 life (courtesy of Grey Merchant and Kokusho as well). Phenax’s parting gift was causing us all to mill until we hit 16 lands (this actually helped me). Gisa was tapped out, I was at 16. I Emeried back an Auriok Salvager to get a Kitesail, as well as finally using Nahiri’s Ultimate (she was up to 15). I suited up a Kor Lancer with enough things to make it a 24/24 Flying Double Strike and knocked Gisa to 3. Had I been smart and asked for the lifetotal and then also attacked with my Sword of the Paruns guy, it would have been lethal. Instead I was dumb and got knocked to 2 life and Gem-Palm polluted. I was close! I’d had a stack of Kor creatures waiting to become a deck for quite sometime. 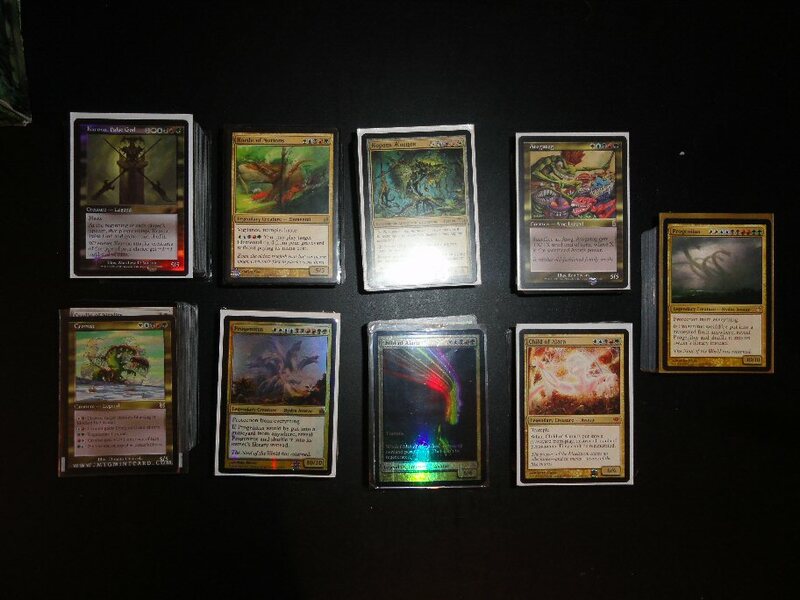 I had finally settled on doing Kor Tribal with either Masako the humorless or Michiko Konda (just because they were White Legends that I wanted to build decks for) when Nahiri was spoiled as a Kor that could be a Commander. I already had a Kemba, Kha Regent deck that was mono-white equipment and cat tribal, but I had started phasing it from good-equipment and enablers deck to being more cat-centric (using lots of cheap and cheap to equip things to make kittens, rather than to make a voltron-cat). This new deck allowed me to give a new home to one of my few Stoneforge Mystics. The deck itself is Mostly Kor creatures, plus a few Equipment-helper guys, and about 25 equipment or forge-themed artifacts. I think I’m going to put Kaldra in as well, once I get another set. I also really like playing Conquerors Pledge, Nomads’ Assembly and Deploy to the Front, and Kor Armament Master a lot. Over the holiday break, I had the chance to play a few games with my brother, and a few unexpected games with my cousin. I didn’t keep detailed notes, but here are some of the highlights. Playing all of my currently complete Tiny Leaders decks. Winning a Tiny Leaders game by pumping up an infect creature by +8/+8 to save myself from the jaws of defeat. Playing 1.5 4-player games with the new pre-cons with my brother and two cousins (who hadn’t played in 1 and 10 years respectively). Won the first one with Freyalise, and we didn’t finish the second one because we got called a way to dinner. Playing for 5 hours with my brother and cousin with decks that I’d left behind over the summer. Got ridiculous with Bosh. Getting some Ultra Pro deck towers as a christmas gift (to store my few sleeved decks in — Ashling, Patron of the Moon, Yomiji).